Tobacco companies aggressively block, weaken, and undermine policies designed to protect public health and reduce tobacco use, and at times they may work outside of Lao People’s Democratic Republic’s laws. Call for the government of Lao People’s Democratic Republic to take urgent action to force Imperial Brands to comply with the country’s pictorial health warnings law. #Imperial Brands is being accused of violating the tobacco pictorial health warning law in Lao People’s Democratic Republic. I support Lao People’s Democratic Republic to take urgent action to force Imperial Brands to comply with the law! 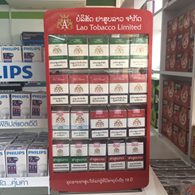 Tobacco companies in Lao People’s Democratic Republic were given 19 months in total to apply 75% pictorial health warnings on their cigarette packs. 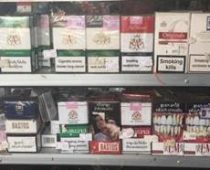 After the latest deadline of January 1, 2018, investigations in several locations found cigarette packs from Imperial Brands (majority share owner of Lao Tobacco Company) did not have the pictorial health warnings required by law.